One of the biggest factors for student success is having a caring adult mentor. 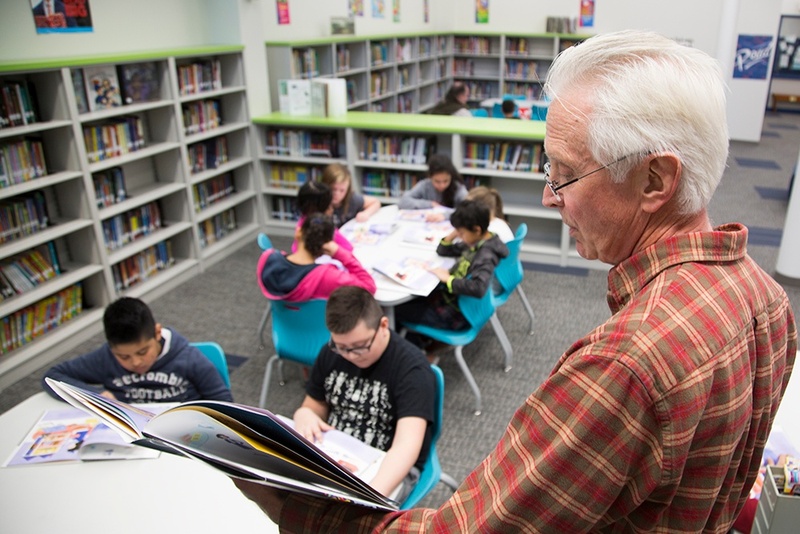 United Way's Real Men Read program encourages men from the community to read to children in the classroom once a month for 45 minutes. The mentors share their love of reading and show that "real men" read for fun and to learn. 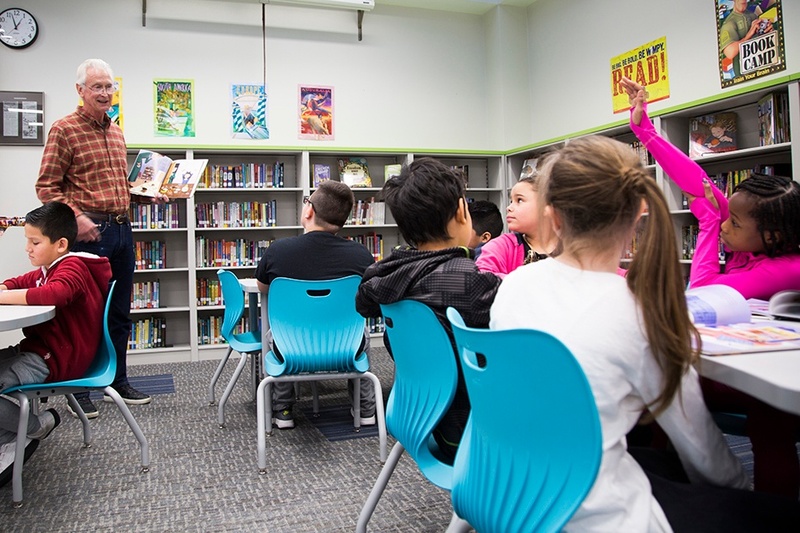 Because men are often seen as less involved in elementary education, sharing books with a male role model allows all children to connect to reading in a special way and encourages boys to see reading as something that men enjoy, too. In Real Men Read, all children enjoy spending time with a fun, caring, consistent mentor. Let us know you're interested in the Real Men Read program by using the form on this page. Select orientation date that work for your schedule. Fill out the volunteer profile. You will receive a reminder email with a link to the profile form a few days before orientation. Attend orientation at United Way of Central Iowa, 1111 9th St., Des Moines. There, you will be given your final volunteer schedule. Sign in at the school on your assigned date. A staff member will be there to welcome you, give you the book and lesson plan, and take you to the classroom where you will be reading for the rest of the semester. Enjoy watching all the students receive their own copy of the book! If you have questions about Real Men Read, please contact Shirley Burgess at sburgess@unitedwaydm.org or 515.246.6519. Real Men Read is at capacity for the 2018-19 school year! If you're interested in reading weekly to an elementary school student, you can still sign up to volunteer for our Power Read program.